After you sign up for a free trial, you should receive an email from the Makers Empire team. This has all the important information you need to get started. 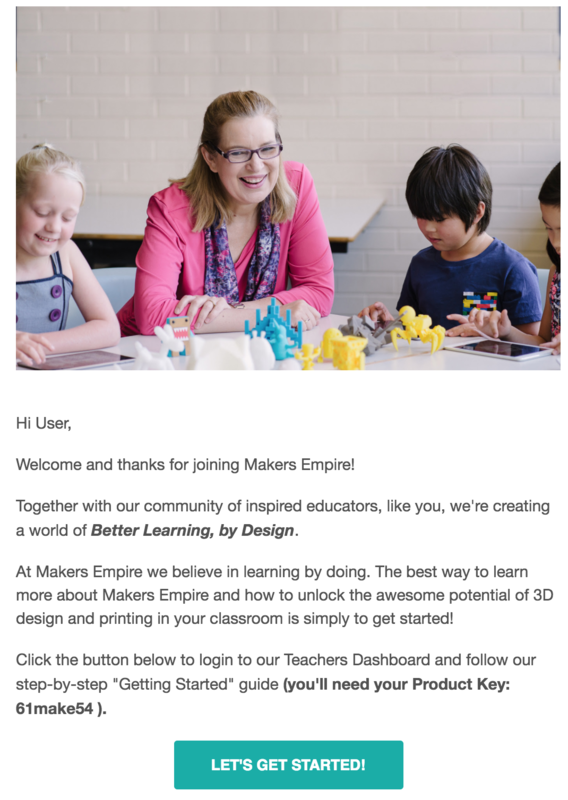 Email subject heading - "Activate your Makers Empire account now". This email also contains your product key. If you don't see an email like the one below, check your junk/spam folder? If you still don't see it please contact us.